 The combination of the matt grey top and black frame make this console an ultra contemporary looking piece. 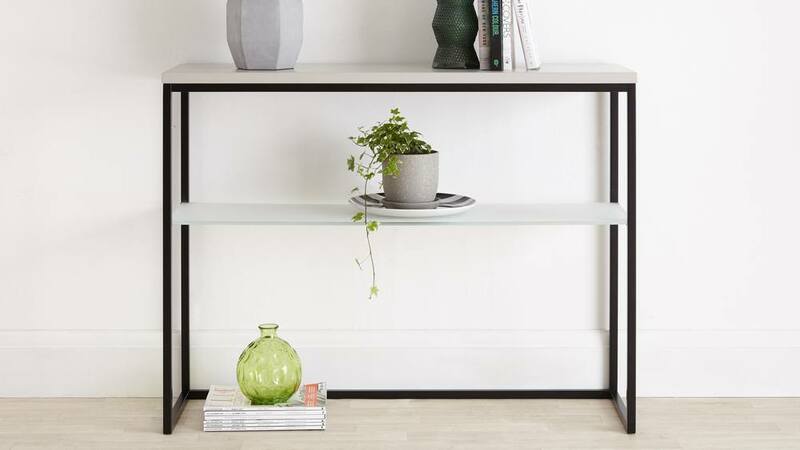 Whether you choose to add the Acute to a hallway, tuck it behind a sofa to zone different living areas, or even as a just as a hero piece to display your favourite items, this console has been designed to add a crisp, modern look to any space. 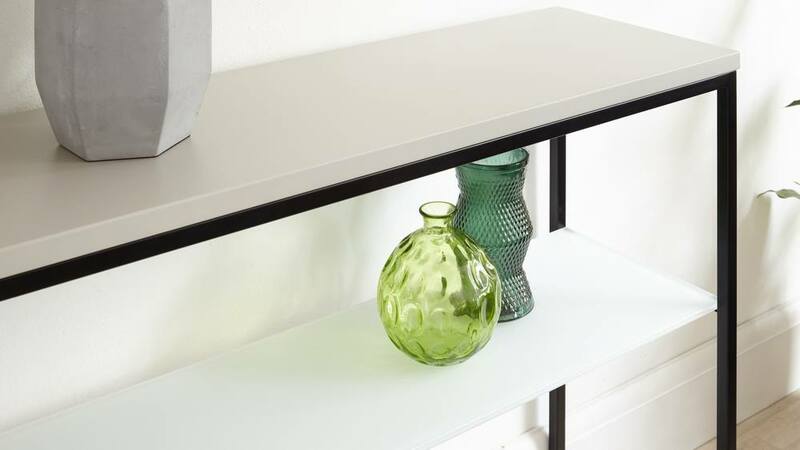 Exclusive to us, our designers have blended together a selection of matt finishes; a soft matt grey top, a grey frosted glass shelf and softly powder coated black frame to create a far more designer look that the simplicity of this console might first suggest. 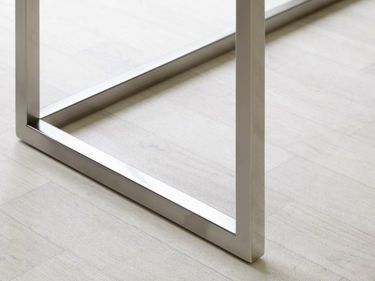 The frame of this console table comes fully assembled so there is no messing about with rods and fixings. It looks great straight out of the box with strong, durable, seamless joints. We've worked on the sizing of the Acute to get it just right, making it as versatile as possible. 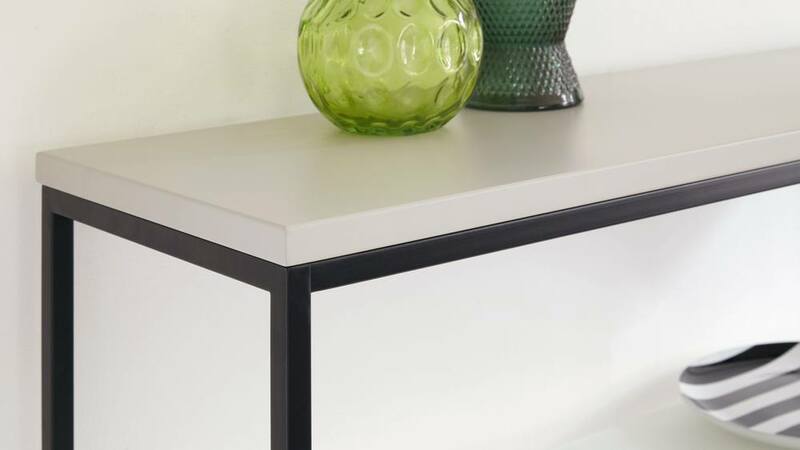 At just over a metre wide but only 350mm deep, the Acute is not an obtrusive size but still offers plenty of space for surface styling and storage. 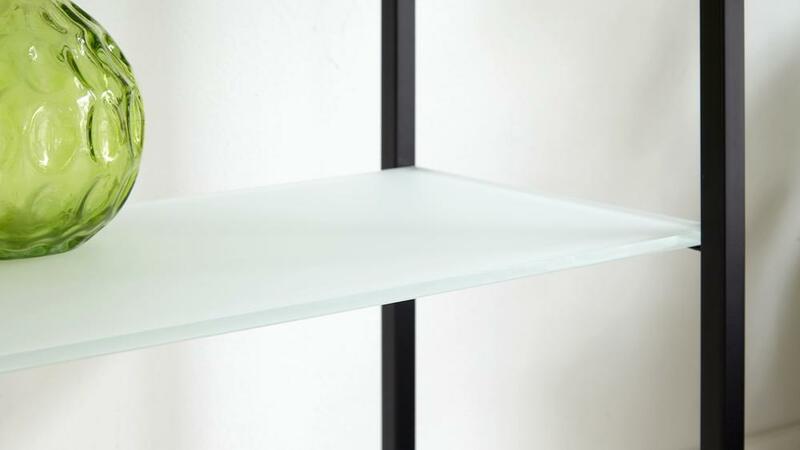 The depth of the shelf actaully makes it really usable, rather than just for decoration. With enough space for files and papers, the Acute console is a great blend of beautiful design and useful storage. 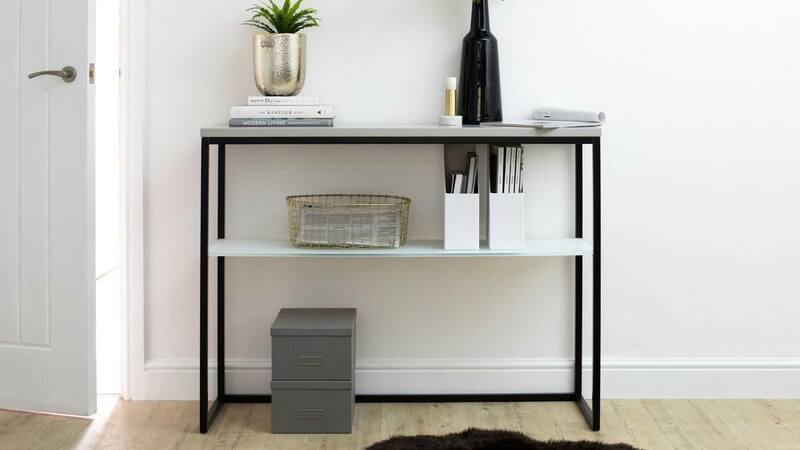 The Acute Matt Grey and Black Console Table is the perfect way to introduce a modern luxe look to your home.After a different combination of finishes? you're in luck! 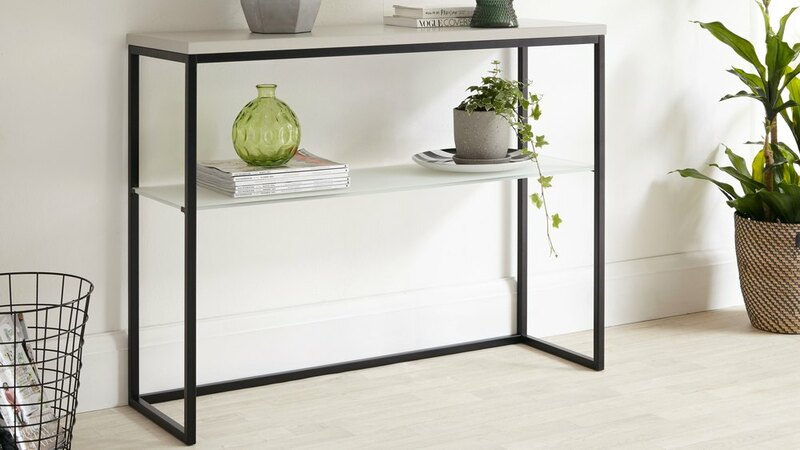 We also have the Acute Walnut and Black Chrome Console Table, Acute Grey Gloss and Black Chrome Console Table, and the Acute White Gloss and Chrome Console Table available, so there's sure to be something that's perfect for your home. What makes our exclusive Acute console range stand out from the crowd has to be our designer’s attention to detail. 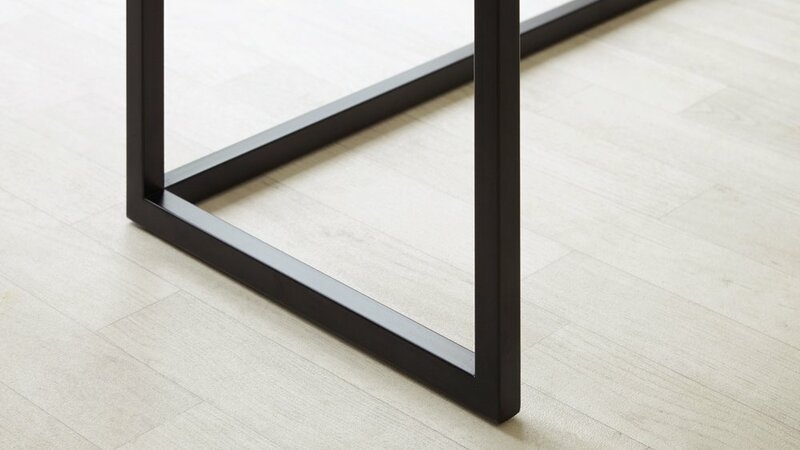 We’ve engineered the frame to have no joins whilst making sure that it’s perfectly proportioned to maintain that visual lightness. Because the console is one whole piece, there are no fixings to interrupt its fluid shape and there's no need to worry about how it all goes together. Our designers have also carefully considered the combination of finishes available for the Acute, all put together with real homes in mind.